An extraordinary journey through the Palazzo Contarini Del Bovolo accompanied by the verses of the "Divine Commedy"
An extraordinary journey through Palazzo Contarini Del Bovolo and its famous staircase. 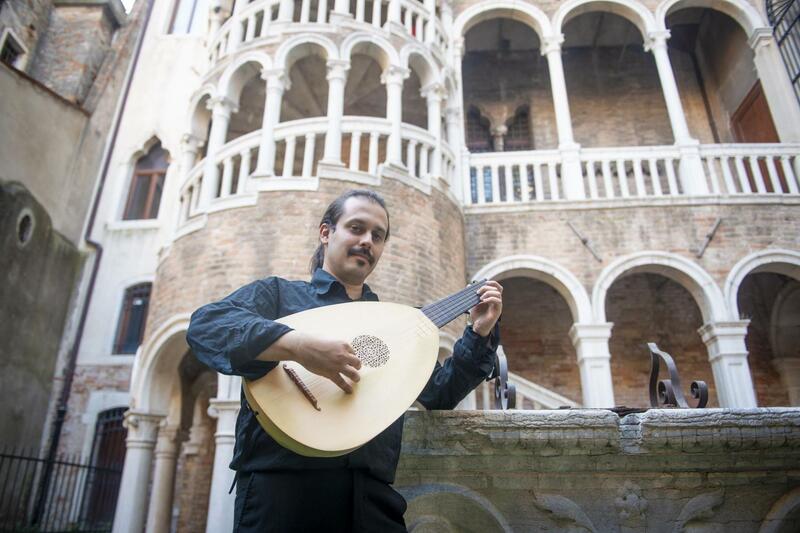 During your tour, you will be accompanied by the verses of the "Divine Commedy" by Dante Alighieri and live music. A unique experience, a journey through the palace, through literature and human soul to better experience and discover the Italian artistic heritage. As evening falls, you will travel back in time and experience two worldwide famous masterpieces of the Italian Art: the "Divine Comedy" by Dante Alighieri and the "Scala Contarini del Bovolo”, which will welcome you to its extraordinary space. Campo Manin, located in San Marco district, is one of the most renowned Venetian squares. There, your evocative journey will begin. Accompanied by Dante's verses, you will be guided towards the wonderful palace "Contarini del Bovolo" and its Gothic staircase. A special tour, where multiple art forms will drive you through a unique experience. Dante's words, together with architectural beauties and artworks will be the background of this adventure, made of amazing melodies and landscapes. A total journey, able to surprise, move and affect you. The artists will perform Dante's verses from the Divine Comedy through music, dancing and singing, reading the verses of the Inferno in the original language of the poem (old Italian Florentine). You will have a libretto (just as for the lyric Opera) with the translation in your languages. Please note that no refund will be accepted for no shows or late arrivals.